Biskupski, Rep. Arent and local climate advocates call on Utah congressional delegates to oppose an EPA deregulation proposal. Local and state leaders worried about air quality met at the Capitol on Wednesday to send a message to Utah’s congressional delegation: Don’t let the Trump administration roll back U.S. clean car standards. Vasic was among the four officials who called on Utah lawmakers in the U.S. House and Senate to oppose an Environmental Protection Agency proposal that would curtail a regulation that helps cut down tailpipe emissions. 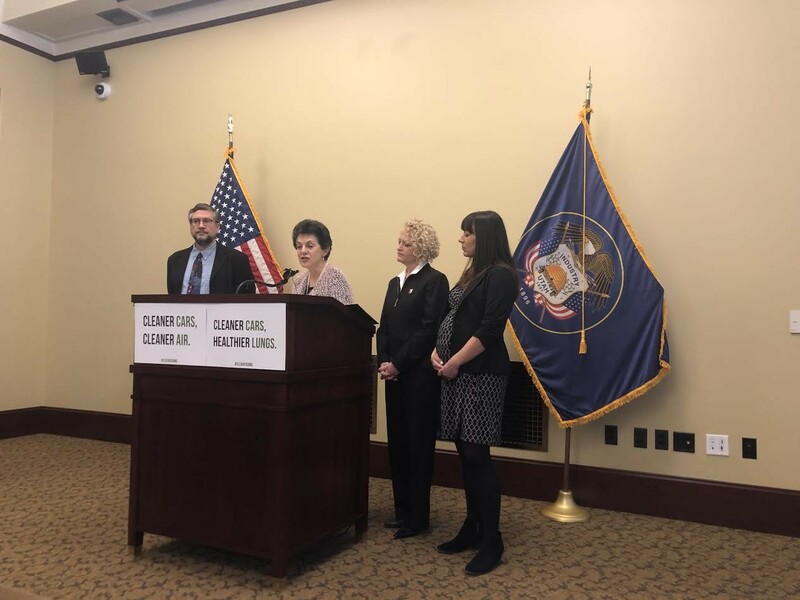 Vasic, Salt Lake City Mayor Jackie Biskupski, Rep. Patrice Arent, D-Millcreek, and HEAL Utah policy associate Jessica Reimer argued that changing the standards would hurt Utahns’ wallets and health, costing car-owning families thousands in the coming decades. They specifically asked Sen. Mitt Romney to press the Trump administration to keep the regulation in place, harkening back to the newly minted senator’s days as the governor of Massachusetts, when he supported putting more clean cars on the road. Rep. Patrice Arent, the founder and co-chair of the Legislature’s bipartisan clean air caucus, said there was no “silver bullet” to cleaning up Utah’s air. A final ruling on the proposal will be made in March. If implemented, the speakers warned the health of 80,000 Utahns already suffering from asthma will be further threatened. Instead, they recommended strengthening, not rolling back, the measure, which could save Utah families an average of $3,050 in gas costs by 2030. “Rolling back clean car standards means more red air days. More days when our kids can’t go outside to play. More inhalers in our lunchboxes,” Biskupski said. Some 40 students walk out of class in support of the Second Amendment.